Nurtisystem is a food-based weight-loss program that helps users learn to control portions. Members choose a plan that fits their lifestyles, and prepackaged meals are delivered to their doorstep. The Nutrisystem program combines portion control with balanced and frequent meals to help the dieter achieve their weight-loss goals. Members have their meals delivered to their home, and combine those with fresh fruits and vegetables. To avoid hunger, members eat every two to three hours. Nutrisystem users can choose from three plans. The Basic Plan starts at $9.82 per day, and it includes pre-selected meals for four weeks. The Core Plan offers a little more personalization, allowing users to choose from 100 options, and starts at $10.54 per day. This plan also includes access to dieticians, counselors, tools and trackers. The Uniquely Yours Plan allows for the most customization, and starts at $11.96 per day. Members of this plan can choose from over 150 meal options, and they can get unlimited frozen foods from the program. Nutrisystem also offers specialized plans that are catered towards vegetarians and diabetics. All of these plans also include Turboshakes, which are specially formulated with probiotics to help keep the member’s GI tract healthy and reduce bloating. All the above prices are with the auto-delivery discount. If the consumer cancels after the first month, they will be charged $99 for the auto-delivery discount that was received with the original purchase. In a time when processed foods are looked down upon, Nutrisystem is taking notice. In 2016, the company reformulated many of their menu items to reduce the number of artificial colors, flavors and sweeteners that are used in their recipes. They also added whole grains to many of their meals. The food itself is hit-or-miss. There are some menu items that consumers rave about, like the macaroni and cheese, while others sound pretty disgusting. For example, the omelet was described by one user as “sickly.” These discrepancies in taste and texture can be avoided with the plans that allow for selection, but Basic Plan members may find themselves hungry when they can’t stomach what they’re delivered. One of the main complaints from consumers is the cancellation process. 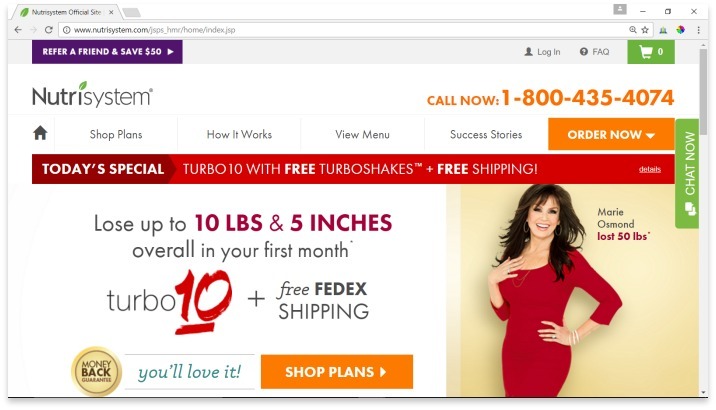 Nutrisystem plans are set to auto-ship. Consumers must call Nutrisystem to cancel. This doesn’t seem like too big of a deal, except the runaround is similar to that of the infamous Comcast. Consumers complain of being transferred numerous times, relaying the same information repeatedly, only to find out their order was not canceled in the end. The Nutrisystem program combines portion control with balanced and frequent meals to help the dieter achieve their weight-loss goals. Members have their meals delivered to their home. Nutrisystem is a pretty good option among the pre-packaged food diet plans. Many consumers reported they were happy with their successful weight loss. While processed foods aren’t the healthiest options according to nutritionists, Nutrisystem has put in the work to make their foods more nutritious. The biggest problem is the cancellation process. First, the consumer is charged $99 in order to cancel. While this $99 is considered a discount for their initial auto-delivery order, the practice is still unscrupulous. A discount for trying the service would make more sense. Additionally, canceling is more of a hassle than it should be. Have you had an experience with this company? 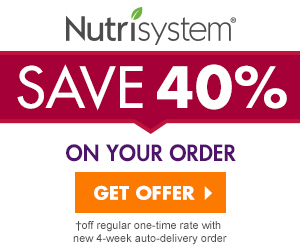 Please share your Nutrisystem reviews below.